The producer from alternative hip-hop heroes Chiddy Bang released a mixtape of tracks back in 2009. 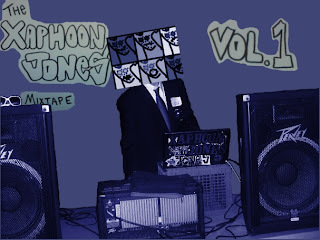 Xaphoon Jones has such a unique talent and ear for producing some sick songs for Chiddy Bang, but can also mix and match his own jams. While this was pre-buzz of Chiddy Bang, there is some great material here. And yes it is over a year old, but not everyone has heard these tracks or has them in their iPod. It certainly deserves to be there. Below is the track listing and you can download the entire mixtape for free here. Listen to Track 13 and Track 8 below.